Rarely is Queen Elizabeth II ever seen without her top-handle handbag hanging elegantly from her arm, whether she's engaging with her sister, husband, or even the Prime Minister in the highly acclaimed Netflix show, The Crown. (It is said that the Queen even uses her handbag to send secret messages to her staff, indicating when she wants to move on from a conversation or leave an engagement.) Very handy! 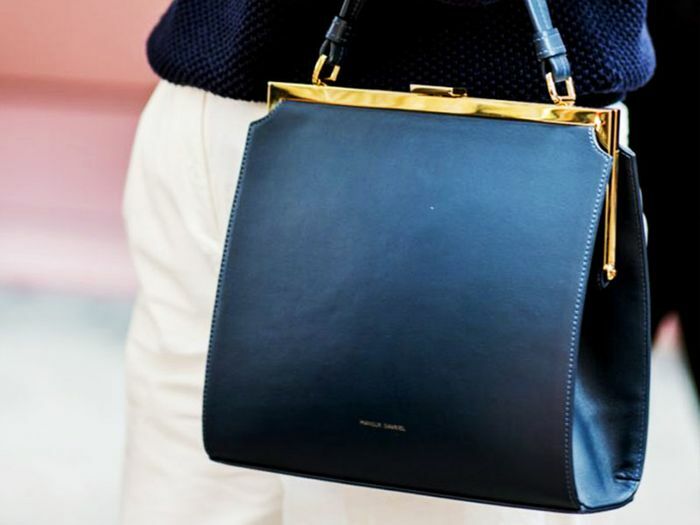 Whatever you use yours for, a top-handle handbag is the epitome of sophistication. Get your hands on these ones below. Set in a fashionable Parisian atelier in the late ’40s, The Collection is loosely based on Christian Dior’s New Look movement, set against a backdrop of scandal. The show oozes glamor, and if you love period fashion, this one is a must-watch. The cinched waists of the decade have me hankering for these flattering silhouettes below. You either love or hate ’80s fashion, but after watching both seasons of Stranger Things, it may just encourage you to get some vintage Nike’s, high-waisted jeans and shearling jackets into your daily wardrobe rotation. Available in sizes 7 to 10. Available in sizes 25 to 36. No surprise, fashion girls are obsessed with this TV show too.